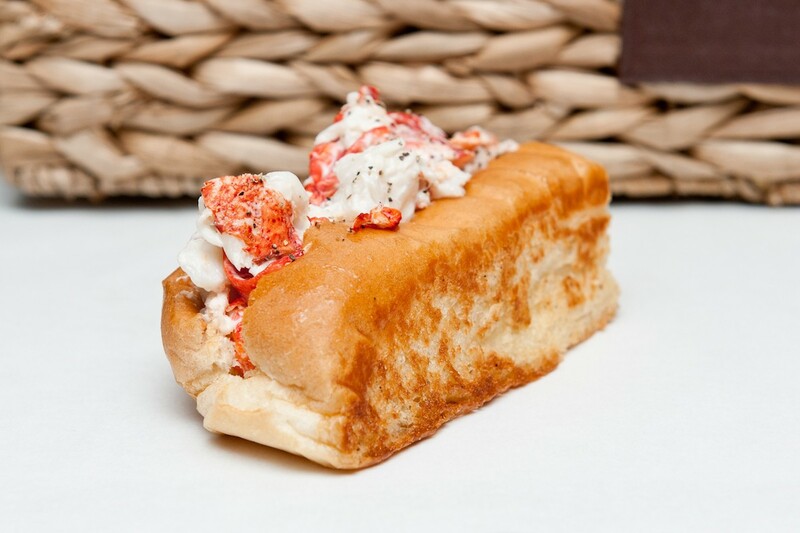 The lobster roll at Maine-ly didn't start out on the menu, but it's now a customer favorite. Photo courtesy of Maine-ly Sandwiches. Under the Radar is a new series that brings attention to restaurants and bars that haven’t been covered much in the media. That includes up-and-coming restaurants, hidden neighborhood gems or old-school spots that deserve a fresh look. Regulars at Maine-ly Sandwiches know a secret: it’s one of the best places in town to get a satisfying fast-casual meal, whether it includes a lobster roll or not. Though the family-owned shop—currently in two locations, at 10745 North Freeway in Greenspoint and 3310 South Shepherd in Montrose—largely rose to fame on the reputation of its lobster roll, there’s much more to the menu that’s worthy of praise. When the first location of Maine-ly Sandwiches opened in 2013, the idea was to give Houstonians a taste of the deli-style sandwiches popular in owner Buddy Charity’s home state of Maine. It wasn’t until Charity’s wife and co-owner Angela suggested adding the lobster roll as a Friday special that the eponymous sandwich made its way to the menu. Long since a regular item, along with its cousin the crab roll, it’s no surprise that the Charitys had customers driving in from all over the city for a taste; succulent shellfish gently mixed with mayo nestles inside a pocket of butter-bathed, pillowy bread with a crisp, grilled interior. Even those who balk at the market price—a two-ounce half lobster roll currently sells for $14—can’t deny the quality of the meat or the pleasant feel of the bread’s buttery crunch. 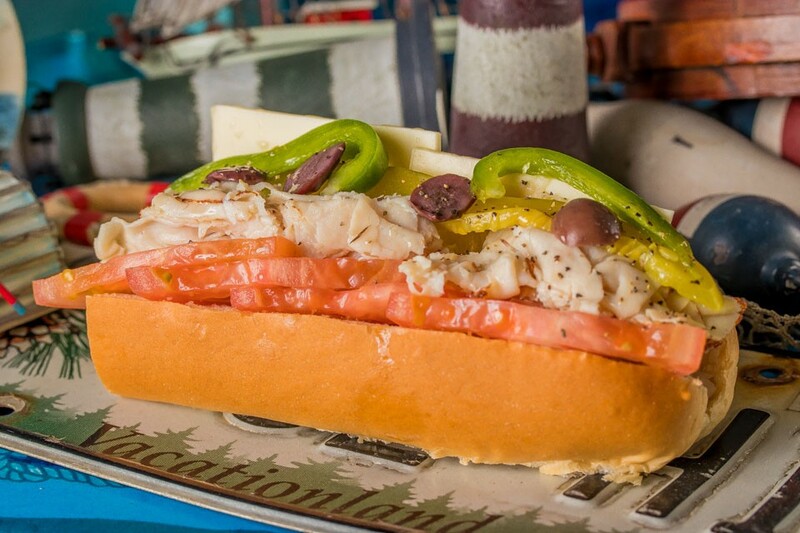 Often overlooked in lieu of the famous lobster roll, the “Italian” sandwich is a staple in Maine. Photo courtesy of Maine-ly Sandwiches. But to focus on the lobster roll, Maine-ly’s most expensive item, is to ignore the majority of the menu—and some of the biggest reasons for its appeal as a lunch spot. Well-priced sandwiches (most are around $8) range from classic turkey or ham to Maine’s famous “Italian” style, which features soft white bread filled with American cheese, ham, onion, green bell pepper, tomato, olives, a glug of blended oils and a dusting of salt and pepper. Beyond sandwiches, Maine-ly’s fried clams and New-England style soups also deserve recognition. 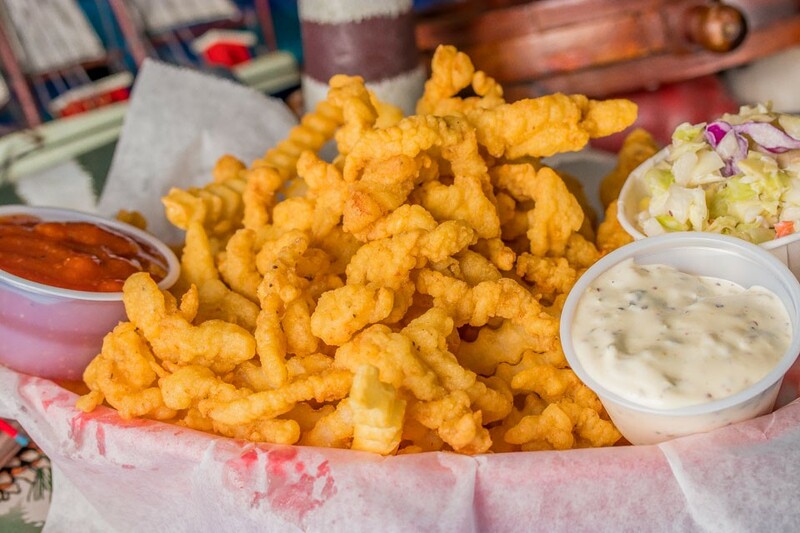 Fried clam strips dipped in house-made tartar and cocktail sauce taste like summer in Maine. Photo courtesy of Maine-ly Sandwiches. A recent order of fried clam strips for $9 proved perfectly crisp, with a light but discernible spritz of lemon and salt. The accompanying tartar sauce, a housemade creation from Buddy and Angela’s son Casey Charity, was perfectly tangy and creamy—far preferable to the tiny commercial packets served at many fried seafood establishments. The same handmade quality is present in the restaurant’s signature dessert, a variety of colorful Whoopie Pies displayed at the counter. Daughter Holli Charity used her love of baking to create Maine-ly’s own version of Maine’s official state treat, which consists of two cookies (or moon-shaped pieces of cake) stuck together with sweet cream or marshmallow filling. The dessert sandwiches now come in over 25 flavors, including classic chocolate to snickerdoodle, and often show up as sample bites for in-house diners. Though to-go orders are common for the fast-casual shop, the experience of eating inside the restaurant’s over-the-top coastal-themed dining room makes everything taste better. Even knowing that non-stop traffic might be right outside the door, the purposely kitschy decor will warm the heart of anyone who’s experienced dining in a New England seafood shack. It’s an opportunity even more Houstonians will get in the coming months, as the Charity family prepares to open new shops in Cypress and the Marq-e Entertainment Center soon. Costs for this opinion piece were entirely paid for by the author and/or Houston Food Finder.